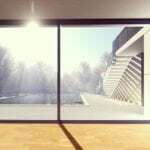 Windows are more than just practical openings. Sparkling clean windows make your home or business look more appealing, but they can also improve your mental state, particularly during the long winter months. Experts have long cited the effect of sunshine on your mood, which is why people on the East Coast are often afflicted with SAD (seasonal affective disorder) during the winter. Superior Pressure Wash keeps your windows clean inside and out, improving the looks of your home and allowing you to get more of that mood-enhancing sunshine. After they have cleaned your windows, your outdoor view and your indoor mood will both improve. Winter does offer some beautiful outside scenes. Nothing is prettier than snowflakes gently covering your lawn. When the first snowfalls arrive, you’ll want to enjoy watching them from the warmth of your home. If your windows are not properly cleaned on both sides, you won’t be able to appreciate the beauty of the winter scene. Instead, you will be too busy staring at the fingerprint smudges and fly specks to watch the kids build a snowman or have a snowball fight. Dirty windows can make you miss out on all the fun. 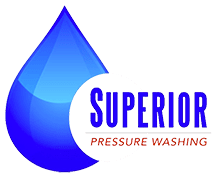 Superior Pressure Washing serves the Maryland, Northern Virginia and DC Metro area, so they know windows. They are a family owned business that specializes in both residential and commercial building cleaning. In addition to giving you streak-free windows, they offer a number of other services, including residential gutter and roof cleaning. They also offer experienced commercial concrete and apartment complex cleaning. East Coast homes and businesses often bear the brunt of severe winter weather that leaves their windows covered in grit and grime. It’s hard to be cheerful when your outside view is obscured by layers of dirt. Let Superior Pressure Washing handle the exterior cleaning for you. You can stay comfortable inside while they let the sunshine in for you, making the winter months more enjoyable. Don’t live with grimy windows. Visit the website contact page and ask for a free estimate, today.